The most exciting part of what we do is seeing how our genetic studies unfold into adorable little wiggly babies!! If you see a baby here that you want more info on, contact us! These cute little girls are blue torted otters. They are not a recognized ARBA color but will have great bodies and features. We are trying to get a blue otter out of this pairing so until then, their babies will be available. These babies were part of our blue eyed white program and only 1 of them is marked! There is 1 solid tort buck, 1 solid black doe, and 1 black doe with some great vienna marks on her feet and head and blue eyes! We are growing out the little skunk but could sell her so contact us if interested. You may be on the waiting list for any we grow out or are watching. Otter babies! Yay! This is the first successful litter for these two. 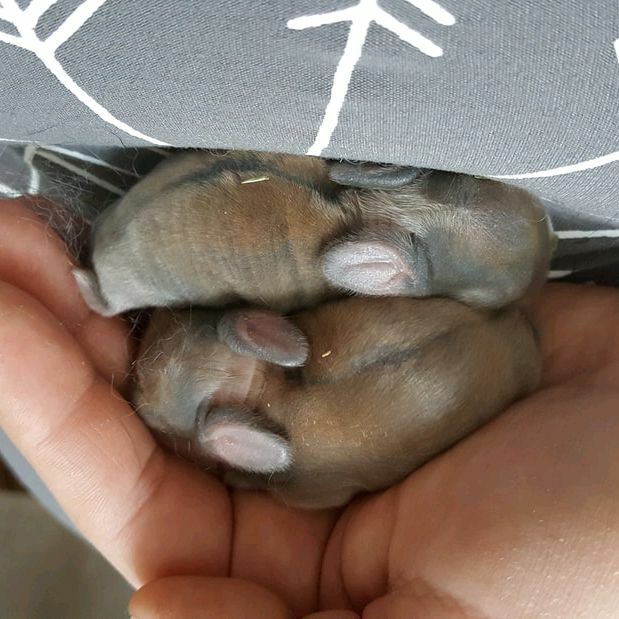 Blue Boy has been producing very large babies and has had stuck kits with 2 other does. I am so happy to see some blue otters out of him and even happier that they are with Black Jack! There are 3 bucks in this litter. 2 blue otters and 1 black. Such big, thick cuties! Can't wait to see them grow! 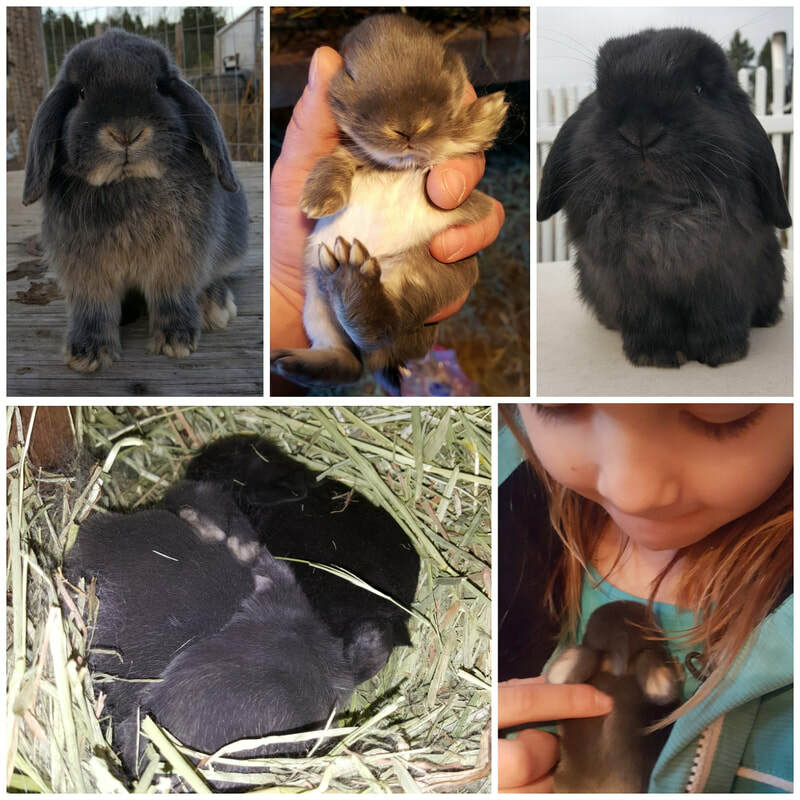 We will be working on some colors this year including chocolate, otter, and blue eyed white which have to be totally separate breeding lines. It will be a challenge to create good quality in these colors but we are bringing in some outside lines to keep our breedings clean and try to create the best quality we can! ​All of our babies are fully pedigreed and come from show quality lines. Each baby is different and inherits their own genetics so some are better quality than others. We sell our babies based on their individual looks. If we notice show potential in a baby, it will be higher priced. 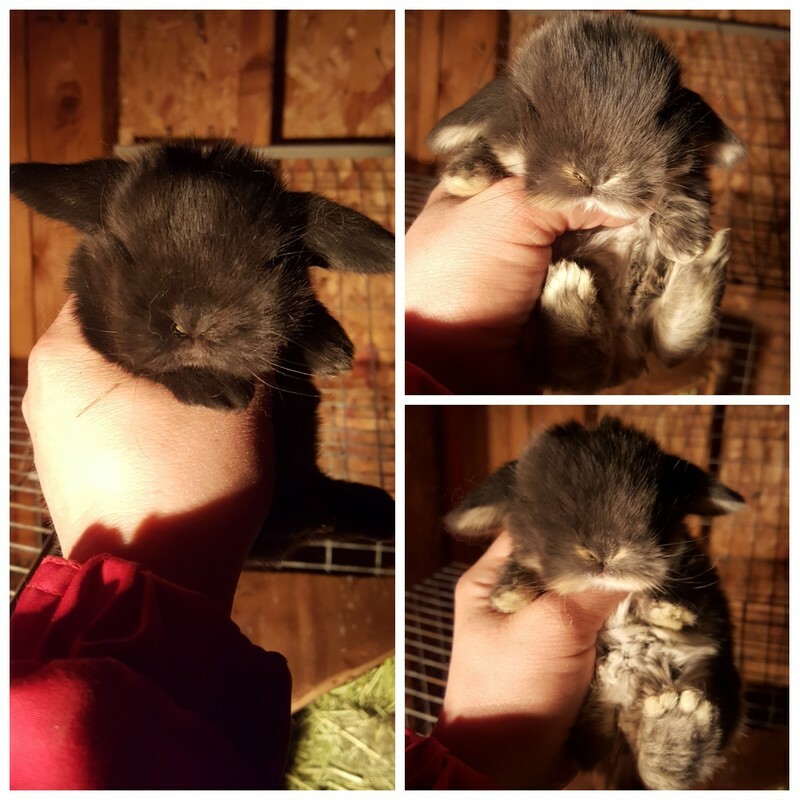 We try really hard not to over price our bunnies as we want them to be raised in loving homes so most of them will be in the price range of $65-$85. 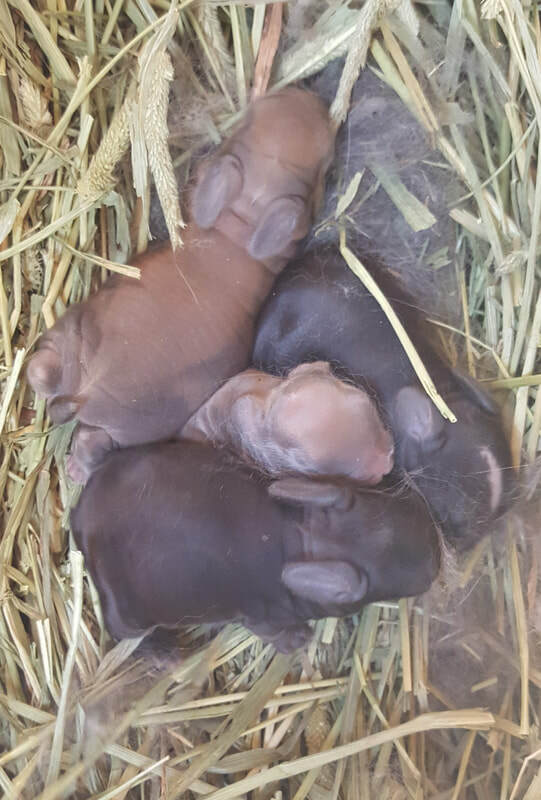 We ask for a $20 deposit at 4-5 weeks of age and our babies are usually weaned and ready by 7 weeks. We occasionally deliver for a $20 fee. All of our babies are sold with a 24 hour health guarantee and they are always welcomed back if rehomed down the road! Please feel free to email with any questions you may have before or after purchasing a bunny from us as we are always available to share our knowledge of the breed! Thank you for your interest in our Holland Lops! Don't forget to check if any older bunnies are available!